This powerful treatment cleansing balm dissolves make-up and daily grime. Precious starflower, elderberry and optimega oils, combined with rose and mimosa waves, and anti-ageing padina pavonica help to deep cleanse, nourish and smooth for a glowing complexion. Directions for use - Smooth over face, neck and decollete gently massaging into skin. Moisten fingertips and continue to massage. Remove with a warm, damp cleansing cloth. 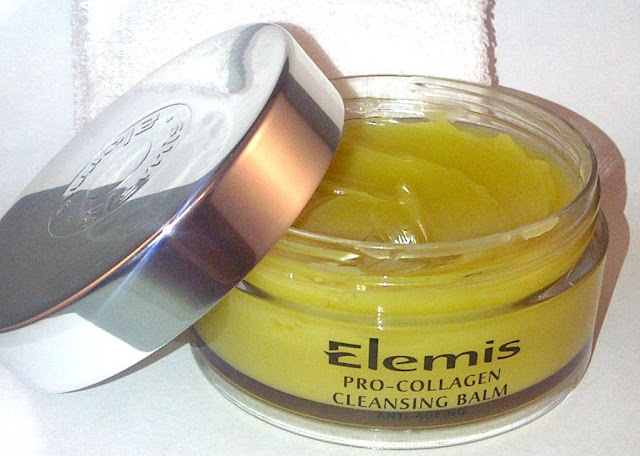 Can also be used as a nourishing treatment, apply with fingertips and massage gently. Leave for 10 minutes and wipe away with a damp cleansing cloth. 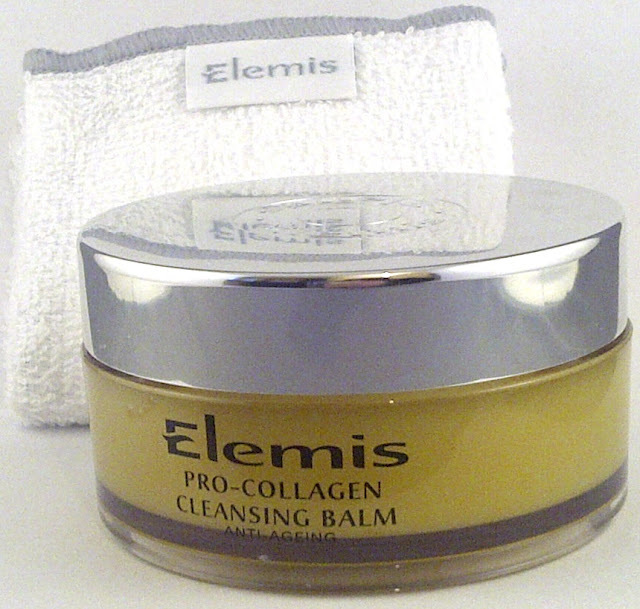 Complete with a soft fluffy flannel this cleansing balm is absolutely beautiful. It has a wonderful aroma that changes as you are using it, I find it to be calming and citrussy. The blend of oils and waxes melt into the skin like a dream and I find it to be a very effective cleanser which removes make-up perfectly. My skin is left clean, soft and not tight at all. This is a really gentle product which Elemis says is suitable for all skin types. Everything you want in a cleanser. The only downside is the premium price tag, however you do get a lot of balm in the jar so I imagine this is going to last a fair while. I think they had me at Pro-Collagen haha. Great review, xoxo. I like the sound of this! Only thing i'm dubious about is the colour haha - do you think it would be okay for oilier skin?